Kirby Muxloe Golf Club was founded in October 1893 as a nine hole course. In those days it was described as “... a very fair inland green and in summer little inconvenience is experienced from long grass, the turf being for the most part of good golfing character…”. On the 27 February 1894 it was reported that the first monthly medal was played on Thursday and Saturday. The first clubhouse was built in June 1909. In 1926 the course was restyled as an 18 hole course. Over the years many changes have occurred to both the Golf Course and the Clubhouse. The first Clubhouse was situated where the large bungalow is situated at the top right hand side of the field beyond the car park gate. After the First World War this was seen as inadequate for the growing membership. Full development of the new Clubhouse was not achieved until 1926 on its present site. Over the years since then many changes and improvements have been made. Accommodation for the Steward was finally provided in a flat built above the lounge in 1967. In 1986 a fire nearly destroyed the building but for the prompt action of various members and the fire service. Whilst primarily a golf club, Kirby Muxloe Golf Club has had a reputation over many years for having a friendly and sociable atmosphere which still exists today. On the course itself the “signature” hole has got to be the 5th which, from about 1940 has been played from a tee situated some 100 yards off the course in a field, from this tee the ball is played back onto the course. This is one of only three such tees to be found in the country. The practice facilities at the Club are amongst the best in Leicestershire and include a covered range, two putting greens and a short game area with practice bunkers. In 2016, the club was proud to play host to England Golf for their English Senior Men's Open Amatuer Championship (co-hosted with Rothley Park). Richard Latham (Woodhall) Spa won the event by five strokes having opened the tournament with a 67 at Kirby Muxloe, followed it with a 71 at Rothley Park and then shot 75 on the final day back at Kirby. In 2018, as part of its 125th Anniversary celebrations, Kirby Muxloe Golf Club once again played host to England Golf for their Women's Open Amateur Match Play Championship. Nicola Slater (Lindrick) overcame Samantha Fuller (Roehampton) in the final after having finished runner up in the qualifying 36 Hole stroke play event. Kirby's own Jessica Bailey led the field after the first round of the qualifying stroke play and went on to reach the quarter final of the match play, eventually losing out to Nicola Slater. 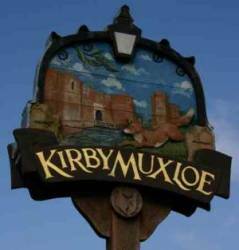 Kirby Muxloe Golf Club having now passed its 125th anniversary, the club is still going strong and is one of the most sought after golfing venues in Leicestershire. We hope that you have found this potted history of the Club both enjoyable and informative.